We feel very proud that our Head chess coach is Garry Gaiffe. He has been associated to chess since 1954, and has been actively teaching chess for last 30 years. He has coached many International Masters. 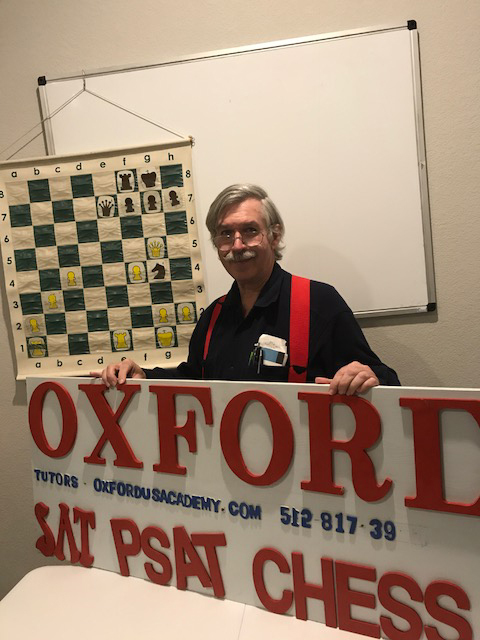 He is the coordinator of all the Chess tournaments that happens at Austin, Texas and he is admin of https://www.austinchesstournaments.com/. 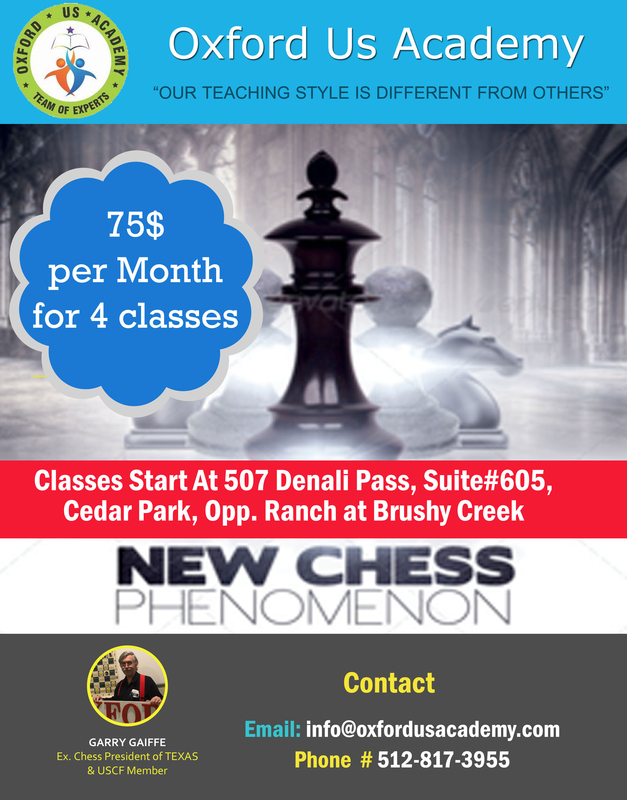 He is already associated to Autin ISD and Roundrock ISD for teaching Chess at schools. Just Google : "gary gaiffe chess"
©Copyright - OxfordUSAcademy. All rights reserved.